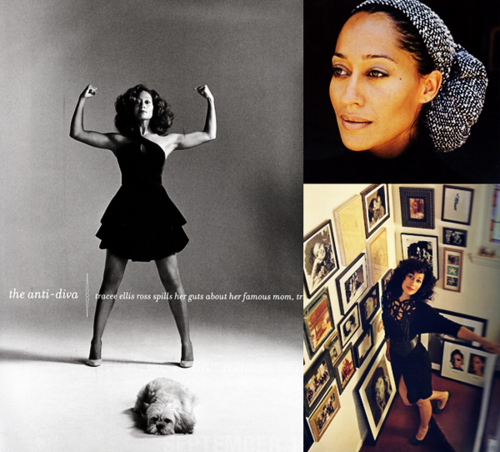 Daughter of the famous Diana Ross, from Girlfriends to the movie screen; Ms. Tracee Ellis Ross has done it all. With every role that she plays she puts forth her best and never lets us down. I love her sense of style and passion for acting. She has won two NAACP Image awards in the category for Outstanding Actress in a Comedy series! She is a HAUTE lady and I admire everything that she has been able to accomplish! Both of the pictures were taken about 3 to 4 years ago. When I saw this picture of Ms. Ross I thought her outfit was so simple and effortless and I just had to emulate this look! How do you all think I did?